Cloud services are viewed mostly in isolation, as if they were a technological feat transforming the computing world, yet have no direct link to our everyday life. The perception, even among the most knowledgeable, is that cloud is inaccessible except by the geeks working silently in a top secret cabin, out of bound for the normal folks like us. It reminds me of the days of DOS, when only a few techies worked on highly secretive PC’s. It took less than a decade for the same PC to invade every nook and corner of our life. The cloud phenomenon is exactly the same. In the next four posts I will take a look at how the cloud is slowly becoming a universal phenomenon rather than a mere technical tool. Leasing is perhaps one of the oldest business practices. In fact, management books are full of case studies involving decision making on buy or lease options. Both have a place in business. Buying capital goods or equipment requires money upfront which many companies could not afford. Leasing was an attractive option for these entities. Businesses leased complete factories with equipment and personnel. It must be understood that leasing business was dependent on the life of the machines. Typically, factory equipment would have a life of twenty five years. New generations of machines were developed once in a decade and obsolescence was never an issue. Computers changed everything in the leasing world. A computer becomes obsolete in less than a year. The leasing life of a computer therefore fell from a high of 25 years to less than a year. Not that leasing went out of business, but its power certainly waned. Now that we are in the internet era, things have actually changed to an extent that old ways of doing business have gone out of fashion. If you wanted to have an online presence, you not only required servers but also the communication backbone to connect to the outside world. You had to perforce place your servers in someone else’s datacenter. At this juncture we came across multiple options. We could lease server with the backbone, we could buy our own servers and locate them in a datacenter. Hosting services for shared servers mushroomed. You would be amazed to know that there are no standards for web hosting services. They come in all shapes, sizes and colors. From a technical point of view it looked like a thorough mess – but it worked and still works. Now let’s look at the scenario from a different perspective, Load Balancer . If your typical business has one leased server with 500 GB Hard Disk with a quad I5 Intel processor, only 20-25% of the resources would be utilized by you. What happens to the idle machines? If I were a traditional Factory manager, I would be aghast at the underutilization of resources. I will cry wolf, I would shout from the rooftop and not stop till I use all the available machine time. But in our electronic world, no one even blinks at such a colossal underutilization. In my next post, I will deal with how cloud is an efficient option which we must embrace for the sake of efficiency, if not for anything else. What lies behind the Cloud? It started as an academic pastime for me. 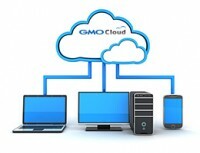 Is there a standard definition of cloud computing? You would be surprised to know that I did not get a clear answer even though I tried all kinds of search with different keywords. The conclusion I have reached is that cloud technology means different things to different people. I don’t want to seem like a man on a mission to criticize others, but the feeling I get is that cloud computing is made to look like it’s for big players, huge diversified companies and for those who visualize thousands of servers churning out their zillion of bits of data. What I found on the net was that Salesforce has grown leaps and bound because of the visionary owners who started off from their garage. Doesn’t this look familiar? I thought even Microsoft began their humble career from a garage. But what does that tell me about cloud computing? Nothing, I tried to search with other smart keywords and landed up with the great Jeff Bezos and Amazon. It seems that Amazon leapt into the cloud straight from their bookstore (which is what Amazon started off as). There are praises galore about Jeff competing with software giant like Microsoft and search master like Google and beating them both. Good for Amazon, I will say. But what’s in it for me? I mean, I am a small fry, trying to made do with meagre resources and running a Pop and Mom store online. Why should I go for the Amazons and Googles of this world? The conclusion I have reached is that there is too much of hype about Amazon, Azure and Salesforce. I don’t want to belittle anyone, but it’s a question of scale. Amazon Web Services and others of its ilk have made it big because they have mastered the art of big numbers. They are big, very big and that’s their major advantage. But for me such a large scale is meaningless. When I go to AWS, I get a feeling that I am about to scale the Great Wall of China. But what I want is a humble cloud where I can put my meagre belongings and web pages and do it at a reasonable cost. I don’t want overheads and technical staff eating into my profits. With cloud providers like Amazon, I get a feeling that I need some expert technical guy who would cost a bomb to look after my website on the cloud. The whole thing is frustrating. I am told that I will save money if I move into a cloud but it looks otherwise. Is there a cloud provider who would show me the savings and still reduce my overheads? It may come as a surprise but the internet is swamped by big cloud players and their triumphs. It’s tough to get hold of a small cloud vendor. I should blame Google search for this because it seems to favour large cloud providers. I always knew that Google search is biased but this is simply absurd. 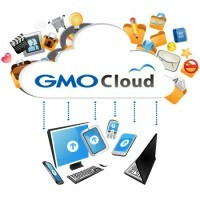 In my next post I will dwell on the search for small but efficient cloud vendors like GMO Cloud that offers one of the highest-performing, standards-based, flexible, and robust cloud solutions in the market. By then I would have done my bit of research on this phenomenon.